California Honeydrops Two Night Stand at The Star Theater. The California Honeydrops don’t just play music — they throw parties. 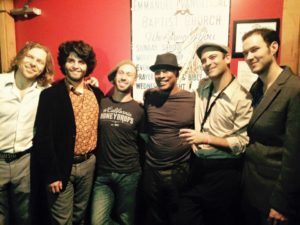 Led by dynamic vocalist and multi-instrumentalist Lech Wierzynski and drawing on diverse musical influences from Bay Area R&B, funk, Southern soul, Delta blues, and New Orleans second-line, the Honeydrops bring a vibrant energy and infectious dance-party vibe to their shows. They’ve taken the party all over the world, playing festivals of all kinds and touring widely across North America, Europe and Australia. In 2016 the Honeydrops were honored to support Bonnie Raitt on her North America release tour — and in the past have been privileged to support the likes of B.B. King, Allen Toussaint, Buddy Guy, and Dr. John. Joining them in their Portland engagements will be local percussionist, Chuk Barber, from The Lowrider Band. Whether in those high-profile performances or in more intimate venues where the band itself can leave the stage and get down on the dance floor, the California Honeydrops’ shared vision and purpose remain: to make the audience dance and sing. 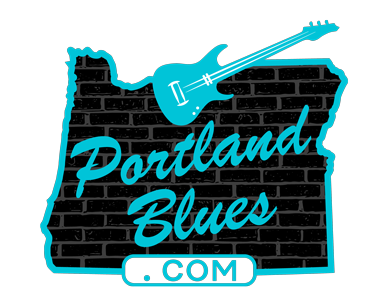 The band will returning to Portland for a two-night stand, Friday, December 2 and Saturday, December 3, at The Star Theater, 13 NW 6th Avenue for 9:00 pm shows with opening act Steep Ravine. Tickets are available in advance through Ticketweb.com for $20.00. This is a 21 & over only event.